Business RSS News: Could Mastercard Smart Mirror Boost Retail Sales for Your Small Business? Could Mastercard Smart Mirror Boost Retail Sales for Your Small Business? Removing the pain point of the payment process is one of the best ways to improve the customer experience for karge and small retailers. The new Mastercard Smart Mirror will be the first of its kind to include a payment function while the customer is trying different outfits using Augmented Reality (AR). This Smart Mirror is a fully integrated solution which gives the customer access to the store’s online and store inventory to deliver a personalized experience. Using a card with a chip, a smartphone, a watch or digital wallet, the customer can check out with Masterpass. Even though the technology is currently being deployed by large brands such as Levis, it can also be used by small clothing retailers. This will give owners more time to focus on customer service instead of dealing with the checkout process. The technology will also allow small businesses to compete with large online retailers by providing new innovative technologies. 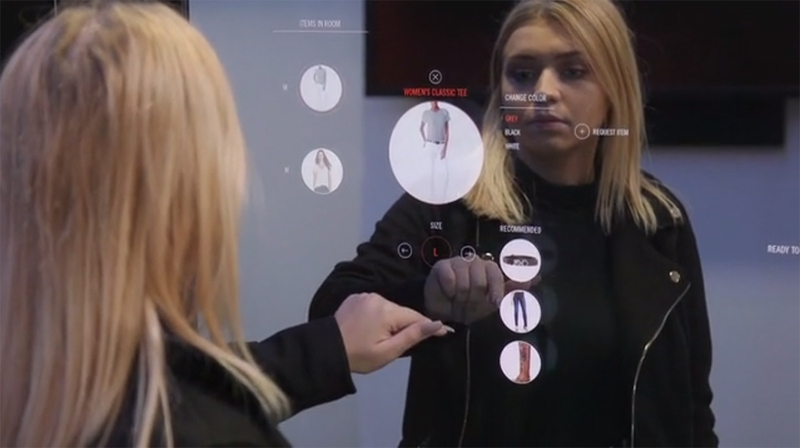 The Industry reported Mastercard (NYSE: MA) expects the Smart Mirrors to reduce the time in changing rooms by 40% and get rid of checkout lines while delivering a more personalized shopping experience. In addition to letting you pay for the clothes you select, the mirror has an interactive menu which lets you adjust the lighting in the fitting room and change the language before you start trying your items. When it comes to the clothes, you can see them in different colors and sizes. You can also ask for recommendations based on previously viewed items and have store attendants bring them to you without leaving the room. The technology Mastercard has used for its mirror includes an RFID (radio frequency identification) system which identifies each item as it comes into the fitting room. This is achieved with chips which are embedded in the hang tags of the clothing. These tags work in the entire store, which allows customers to request availability of the fitting room, see if it is occupied, find out if the item is currently in stock and give feedback. All of this information can give the store owner more ways to engage with the customer to provide targeted marketing and carry inventory customers are looking for. In 2018 alone $17.8 billion is slated to be invested for business in AR and VR. As the technology continues to evolve, small businesses have to implement the solutions they provide as part of their operations to attract customers and compete with online retailers. Whether it is offering the Mastercard Smart Mirror or providing VR shopping, these technologies should be an option if they improve the customer experience and gets them to walk in your door.